A gradient map is a smooth blending from one color to another. The Gradient Map adjustment in Photoshop converts existing colors to a gradient based on whether the area is a dark, mid-tone, or light color. The dark color becomes the color to the left of the gradient map, the light color becomes the color to the right of the gradient map, and a mid-tone becomes a blend of the colors. 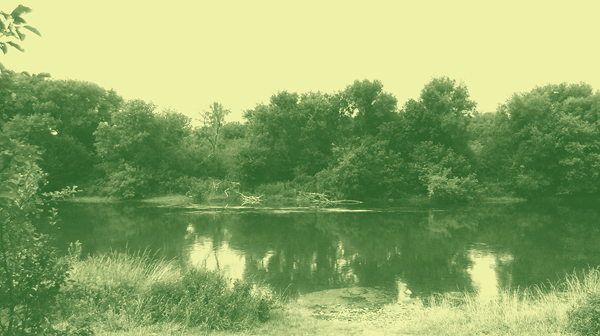 By using gradient map, you can transform your picture into an attractive duotone image or a rainbow image that looks very wacky. From the Tools panel, pick two colors for the gradient. The foreground color swatch sets the dark colors. Pick a dark color such as dark blue or dark green. The background color swatch sets the light colors. Pick a light color such as light blue or light green or white. The mid-tones will become a blend of those two choices. 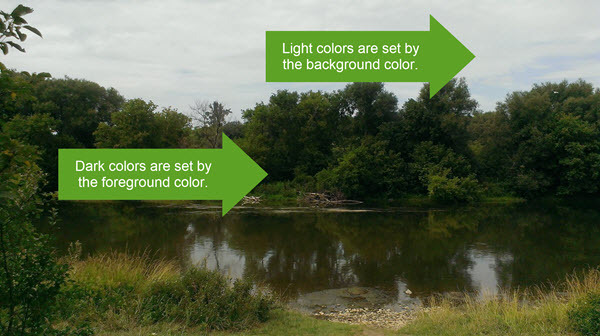 Be thoughtful when selecting the foreground and background colors. From the Image menu, select Adjustments. Pick Gradient Map. To smooth the appearance of the fill, click the Dither checkbox. To switch the order of the colors, click the Reverse checkbox. 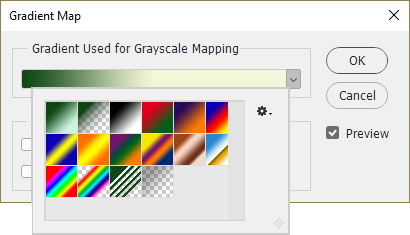 To adjust the color in the gradient map, click on the Gradient Used for Grayscale Mapping bar. Adjust the colors in the gradient map. From the Gradient Editor dialog box, click on a bottom stop. 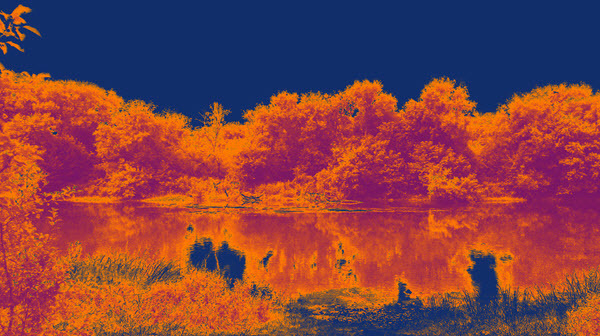 Adjust the foreground or background color of the gradient map. Reduce the value in the Location box to adjust the position of the stop. This will increase the amount of the color in the image. Set the location of the stop to increase the amount of color. Click OK to apply the changes and close the Gradient Editor dialog box. 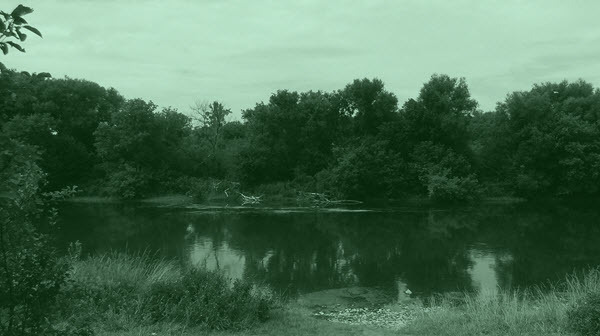 Adjust the color and position of the stop to create a unique duotone image. 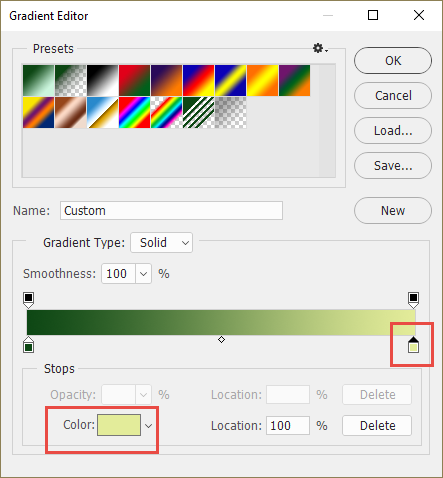 To pick from a selection of preset gradients, click the arrow beside the color bar. Pick a preset for the gradient map. Explore the options to create a unique artistic effect. Apply a colorful gradient using the Preset options. Are you interested in easy to follow Photoshop activities for middle and high school students? TechnoPhotoshop is a technology project with assignments that have students create a digital scrapbook. They learn how use the Adjustment commands, including Gradient Map to create artistic effects.